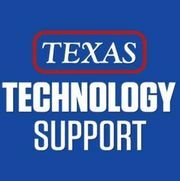 Texas Technology Support provides IT services for Businesses including Servers, laptops, Desktops, Printers, Office Phones, Cell Phones, Routers, Switches, Firewalls, and Security Appliances. We can manage your Information Technology network, and set you up with low lost computers and software. We have been servicing Houston and the surrounding areas for over 13 years and can provide you with IT staff on a part or full time basis without breaking your budget. We also do residential IT support, Computer repair, and Cell Phone services. Come get your low cost cell phone from us and add a wireless plan from T-Mobile, AT&T, or Verizon all with NO contract, just pay for the months you need. We also offer web watcher, a special software designed to keep your kids safe and allow you to watch what they do on their phones. We can save you money on your cell phone bill! We also have an 8 Person LAN gaming center/ Internet cafe for training and birthday parties. Come out and check us out! Rate and review Texas Technology Support in Magnolia, TX, United States! Share your experiences at Texas Technology Support with your friends or discover more IT Services and Computer Repair in Magnolia, TX, United States.